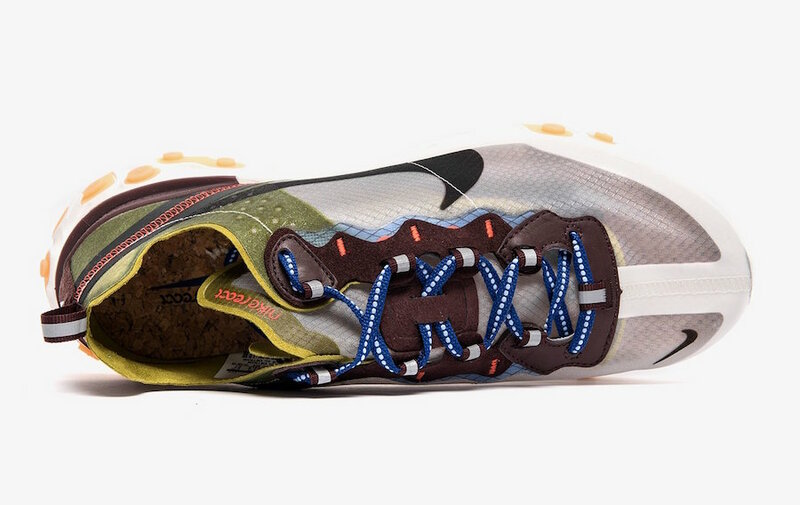 Nike’s React technology is making quite a splash in the footwear world. 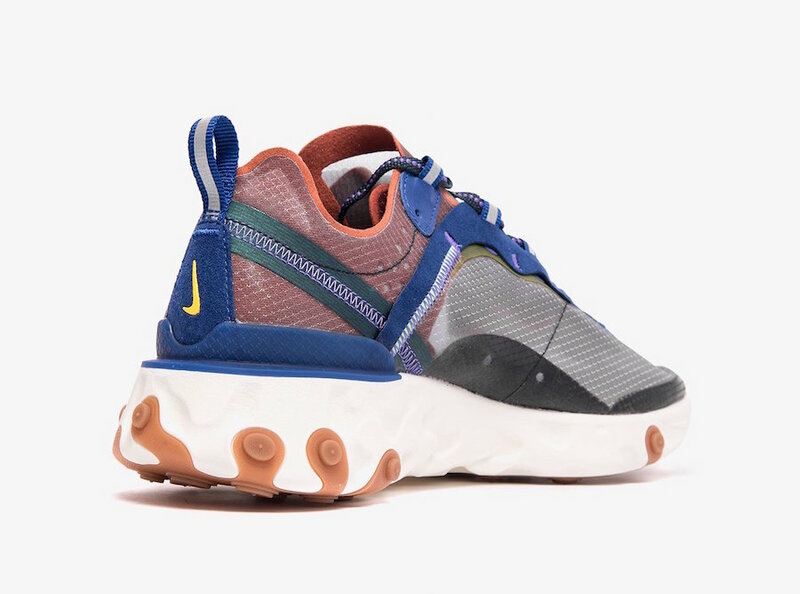 While the new tech is still infiltrating various sports, Nike continues to release their flagship lifestyle models, like the Element 87, in new colorways. 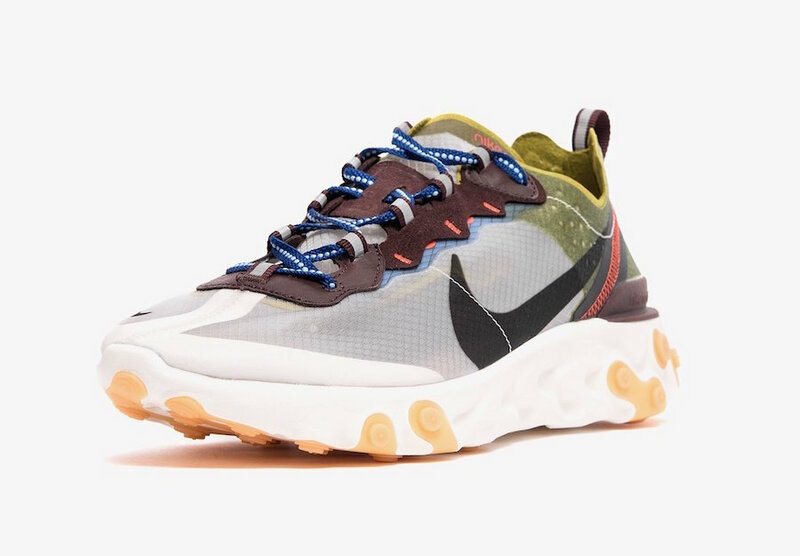 Nike’s React Element series has taken the sneaker world by storm since they first released about a year ago. 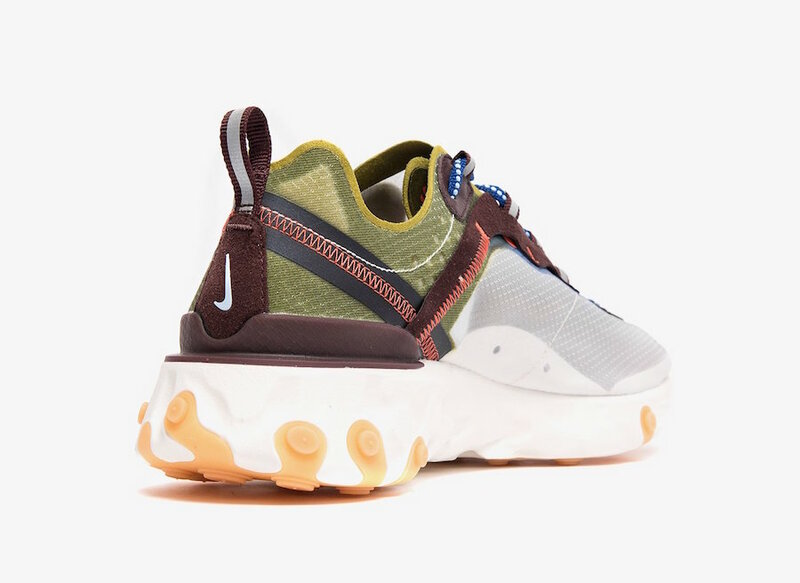 Since then, the Element 87 has released in a handful of colorways, selling it at almost every release and racking up “Sneaker of the Year” titles from just about every footwear outlet. Nike, being the business geniuses that they are, have been handling the hype incredibly well. 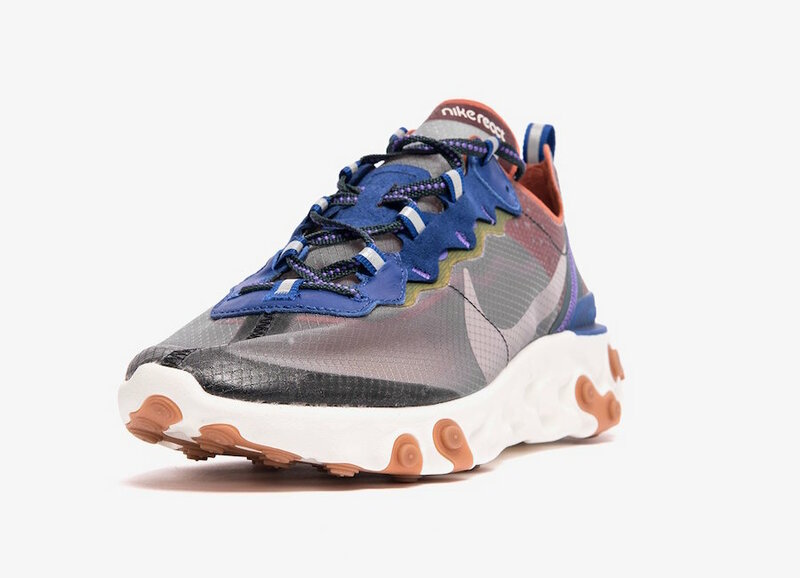 While the slightly less exciting Element 55 continues to launch in new colorways monthly, the Element 87 returns less frequently, reappearing in funky new color schemes every few months. This week, we have our first look at two releases for May 2019, titled”El Dorado” and “Dusty Peach”. 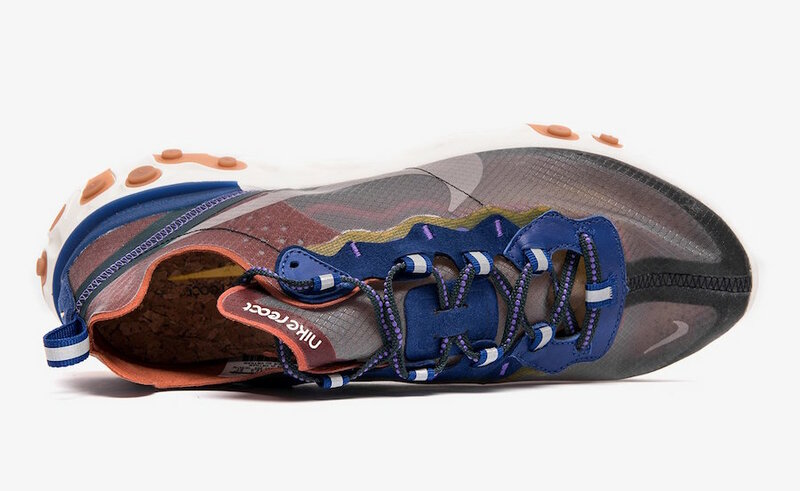 The first pairs the usual translucent upper with a Moss green heel and mauve accents, while the second mix the same mauve tone with vibrant blues for a Spring-ready two-pack. 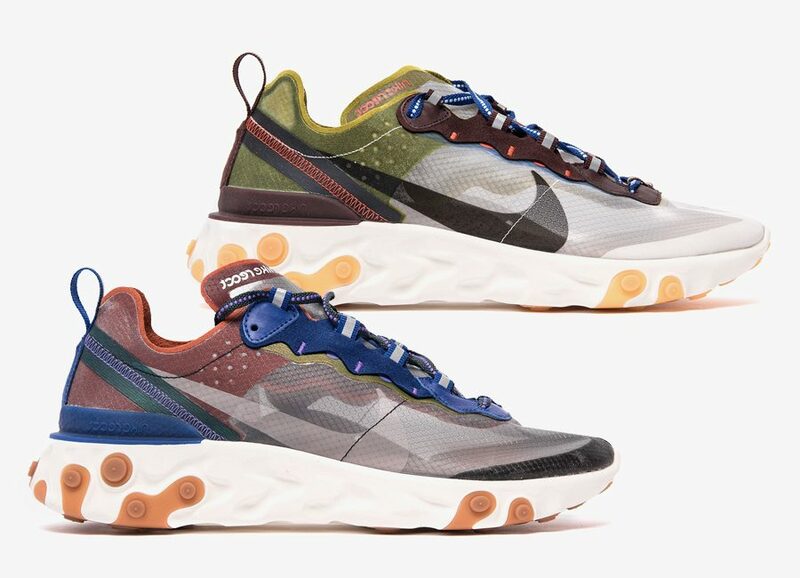 Nike’s latest colorways of the React Element 87 have been slated to release next month on May 2nd, 2019. Both the “Dusty Peach” and “El Dorado” colorways will retail for a cool $160, and launch from both Nike and select retailers. 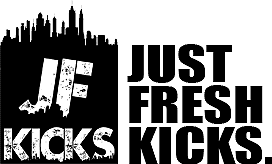 Check out the product shots below for a better look, and stay tuned to JustFreshKicks for more Nike release news.